Seen on my walk today. 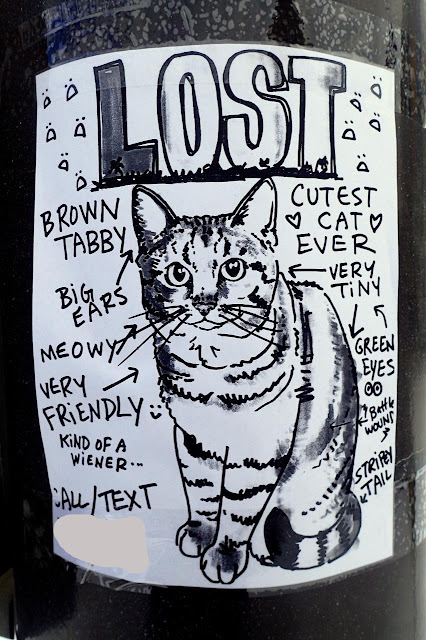 Usually the lost pet signs have a bad photocopy of a picture and only a few details. The owner of this poor lost feline obviously has an artistic flare and a sense of humor. I hope he/she/it is found soon and reunited with their owner. Sad ... but very artfully done.